Lao Food Festival was held from February 24-26, at the National Culture Hall. Visitors to the festival were treated with various traditional dishes from around the country. The event was organized by the Lao Women’s Business Association and the Lao Women’s Union. It is a great event for Lao food lovers like myself and a chance for the local and tourists to sample tasty dishes from different regions of Laos. 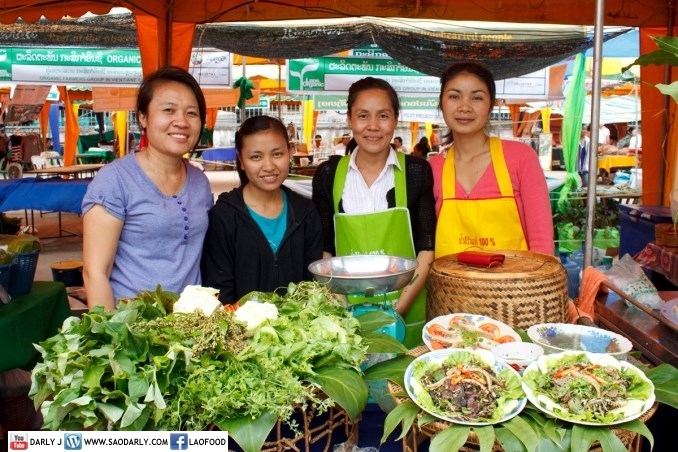 If you are a fan of Lao Food and would like to attend the next annual Lao Food Festival, then plan to be in Laos in January or February next year so you can enjoy all the Lao food you want at one place.